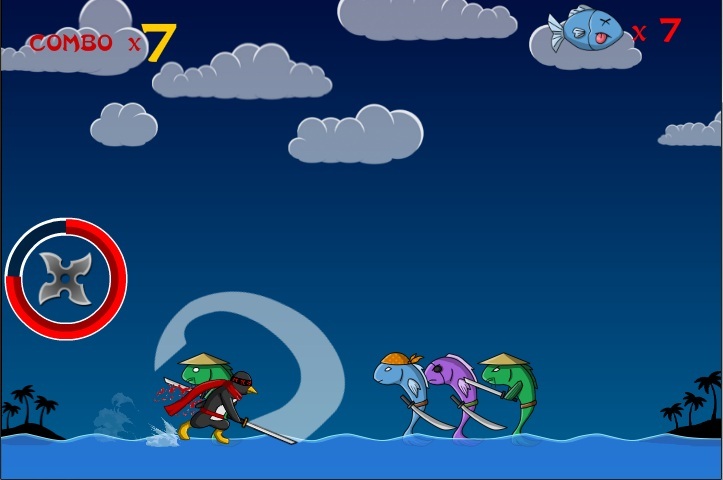 Play as a Ninja Penguin slicing his way through a fleet of Pirate Fishes invading your kingdom. You must kill as many pirates as you can! Run n’ Slice! -Easy controls. Use arrow keys to move up and down. -Auto attack; slice those pirates! -Tons of upgrades and achievements! Avoid the red blinking objects and/or enemies.